Changes to the law and other developments have a significant impact on DUI offenses and how these crimes are investigated and prosecuted. Understanding these trends is critically important for defense attorneys who specialize in this area and are required present cutting edge defenses on behalf of their clients. The following are some of the more recent trends in DUI law. In November 2016, California voters overwhelmingly approved Proposition 64 which removed many of the legal restrictions surrounding marijuana use and possession. California was one the first states to legalize medical marijuana and decriminalize marijuana use. Now, many of the remaining legal restrictions on marijuana have been removed. Even though marijuana use may be legal, it is still illegal to drive while under the influence of marijuana or other drugs. Other states that have legalized and decriminalized marijuana have experienced a sharp increase in DUI marijuana offenses, and law enforcement agencies in California are preparing for this as well. Agencies are adding more drug recognition expert (“DRE”) officers who receive specialized training in recognizing the signs of drug impairment in drivers, including drivers under the influence of marijuana. Many agencies are testing out “mouth swab” tests that can show whether or not a driver has been using marijuana or other drugs. 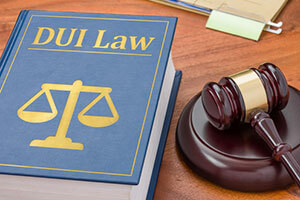 DUI marijuana cases can pose unique challenges to prosecutors, as it may be difficult to prove that a driver was, in fact, under the influence of marijuana at the time of driving. Marijuana notoriously remains in driver’s system for a long period of time and a driver may test positive well after the effects of the marijuana have worn off. While many people understand that driving under the influence of illegal drugs like heroin, cocaine or methamphetamine is against the law, they are often surprised to learn that driving under the influence of many lawfully prescribed drugs is also illegal. This can include medications such as Xanax, Valium, Vicodin and Ambien, to name a few. Having a lawful prescription for these medications is not a defense if charged with DUI. There is currently no breath test that can measure for the presence of these drugs and drivers suspected of driving under the influence of drugs would be required to provide a blood sample. If the driver has been taking a particular medication for a long time, a toxicology expert may be necessary to show how the drug would not have had an intoxicating effect on the driver. In addition, the defense may request a blood split order to have the blood sample retested at an independent laboratory. For instance, in order to pull over a vehicle in Los Angeles, law enforcement officers usually must have reasonable suspicion to believe that the driver has violated the law. Typically, the reason cited will be an observed traffic violation. One exception to this in California is DUI checkpoint operations, which allow law enforcement officers to stop all vehicles passing through one particular point. These operations have been deemed legal by the California Supreme Court and law enforcement agencies increasingly rely on them to enforce the DUI laws. These checkpoints must be conducted in strict compliance with the factors set forth by the California Supreme Court and if the checkpoint was not conducted properly, any resulting DUI arrest may be deemed invalid. If you have been arrested for DUI, it is imperative that discuss your case with an experienced Los Angeles DUI attorney right away. Michael Kraut is a former Deputy District Attorney with over 14 years of prosecutorial experience who understands the key issues affecting DUI law and works hard to ensure his clients receive the best defense possible. For more information about trends in DUI law, and to schedule your free consultation, contact Michael Kraut at the Kraut Law Group located at 6255 Sunset Boulevard, Suite 1480, Los Angeles, CA 90028. Mr. Kraut can be reached 24/7 at 888-334-6344 or 323-464-6453.